Tickets are available on www.silverstarcasino.co.za or at Silverstar Box Office. Join Silverstar for a spectacular Christmas in July, from 30 June to 02 July 2017. The Globe will be transformed into a typical Bavarian town square, complete with a traditional Oompah Band. Warm up to mouth-watering Bavarian delicacies such as eisbein and bratwurst, a comprehensive selection of cold beverages, and popular winter warmers such as gluwein and hot chocolate. A village market will be available for the townsfolk, complete with various exhibitors, roaming buskers and carousels for the kids. Tickets are on sale at R50 per person and are avaible at www.silverstarcasino.co.za. The Springboks will welcome France to South Africa for the first time since 2010 as the two nations clash in three Tests this June. Boktown at Silverstar will be the place to be for Springbok supporters who are not able to attend the games but still want to feel part of all the action. Fans will get to watch the games live on the biggest outdoor screen in the West Rand, and enjoy some great entertainment and exciting giveaways. Tickets are available at R30 per person on www.silverstarcasino.co.za. Ticket prices include a free local beverage, so don’t miss out. 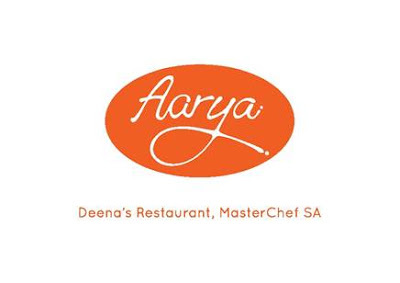 MasterChef SA’s inaugural winner, Deena Naaido, has added another home for his beloved Aarya restaurant. Opening on Tuesday, 06 June 2017, the restaurant is guaranteed to appeal to every kind of appetite. Aarya’s menu reflects what South Africa is all about, diverse cultures and backgrounds coming together to create an amazing experience. Speciality dishes include Durban Curry, Bunny Chow and Chef Deena’s signature dish – Butter Chicken. Chef Deena is ready to welcome guests to a one-of-a-kind culinary experience. Roulette Knockout: The exhilarating Roulette Knockout Gauteng Series is back again, with a guaranteed first prize of R500 000 in cash. The Roulette championship takes places across Tsogo Sun’s 3 Gauteng casinos – Montecasino, Gold Reef City and Silverstar. Qualifying rounds take place daily until 02 July. Final Rounds will take place at Silverstar on 08 July 2017, where players will compete to crown a Roulette Knockout Champion who will walk away with R500 000. With a buy-in of R100 for one entry and no limit to entries per player, winning is easy! Super9: With a roll-over Jackpot starting at a minimum of R5 000 in cash, the exciting Super9 Tables promotion is a first for Silverstar Casino. The Jackpot prize increases weekly at R5 000 increments, for 9 weeks, with the Super9 activation running every Sunday at 14h00. Participants who earn 100 points during the ticket earning periods can complete tickets with their 9 selected numbers on the day of the activation. Entries to be completed between 09:00 and 13:30 at the ticketing stations. This promotion is exclusive to Silverstar Rewards cardholders.